Royal Catering Barcelona provides the best catering service in Barcelona and Spain for successful corporate events, weddings, receptions and social events. Taking inspiration from Fairmont’s vegetable garden and the world’s greatest gourmet destinations, we bring the freshest and most exclusive products to your plate. Likewise, we are committed to the use of authentic natural ingredients from sustainable local sources. Royal Catering Barcelona works with state-of-the-art technology in 2,000 square meters of high-tech kitchen area. Our experienced team is constantly trained and led by the most creative chefs. The creator of the delicious and multifarious menus of Royal Catering Barcelona is the chef of Fairmont Rey Juan Carlos I, Claudio Aguirre. With more than 25 years of experience, this renowned chef was born in Santiago de Chile and trained in Spain. Inspired by new international gastronomic trends as well as classic dishes, Aguirre promotes genuine Spanish cuisine, bringing excellent and imaginative dishes to the table. His passionate team utilizes Km0 products which they grow in Fairmont Rey Juan Carlos I’s garden just on the outskirts of the city. 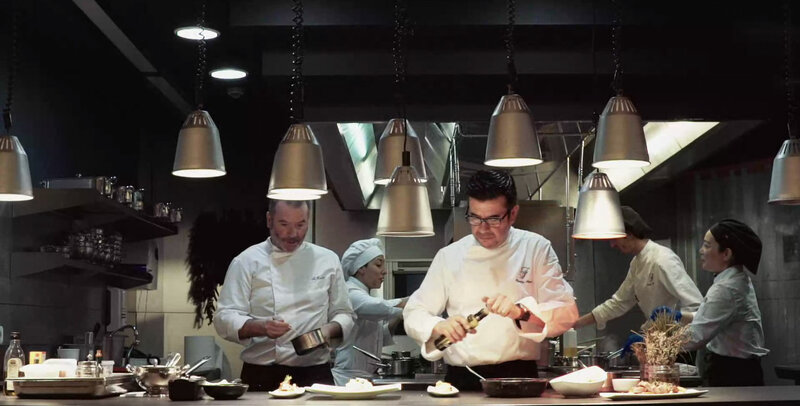 Discover the culinary philosophy of Claudio Aguirre with Royal Catering Barcelona. We believe that successful events are driven by an outstanding service and we bring together talent and expertise to deliver the most memorable moments. Enrich your event and enjoy the full Royal Catering Barcelona experience.